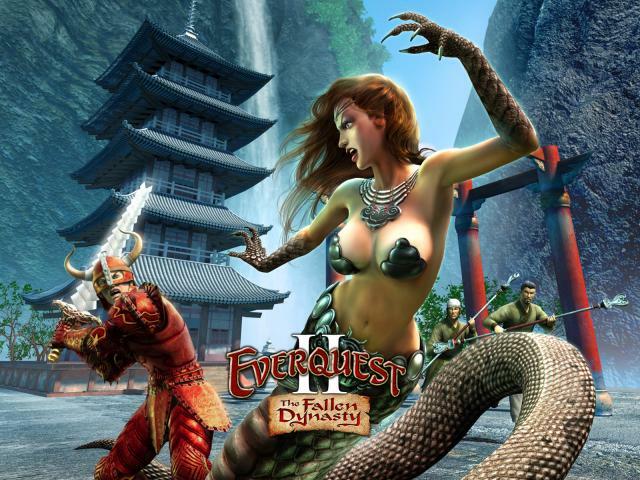 Welcome to EQRPG, a site that deals with everything EverQuest! We’ve got information about all of the major (and some of the minor) iterations of the game, whether you’re an old-school die-hard still frequenting the original game servers, a console gamer struggling with Champions of Norrath, or a fan of the pen-and-paper EverQuest RPG, you’re in good company here. Oh, by the way: the great SOE Fan Faire will be held in Las Vegas (again) this year; August 5th – 8th, at Bally’s Las Vegas. No tickets on sale yet, but we hear that will happen very soon. If it’s anything like last year, there will be dramatic announcements and sneak peaks, giveaways and forums outside the game, and plenty of tournaments, competitions, and quests in the game. We all had a blast at last year’s convention (just check the official website for pics…but we won’t tell you which pics are of us!). March 9th Update: the Convorteum Zone of Underfoot went live today (oh, so there WAS a reason for the server downtime…). Underfoot is certainly giving us a new appreciation for the game, as well as plenty of fascinating things to see and do. Stay tuned for a more detailed review as soon as we get an up-close and personal chance! March Update: Of course, it’s the 11th Anniversary of EverQuest…not as big of a deal as last year, of course, but we’re still pretty excited. Personally, I’m celebrating the traditional way: with a big ol’ jar of Spitting Oozes, now available at the Marketplace (I hear that Spitting Ooze is the new official 11th Anniversary wedding present, replacing…steel? Nah, we still need steel. LOL). If you’re a fan of any of the EverQuests, feel free to drop us a note; we’re always looking for input, information, corrections, criticisms, whatever!